After a long winter, it’s time to come out of hibernation. Summer is the perfect excuse for a date night. Whether you’re planning on outdoor cocktails or a backyard barbecue, you can look fresh-faced, sun-kissed and on-trend in a breeze. Celebrity makeup artist Amanda Shackleton shares her favorite beauty looks for an evening on the town in this easy-to-follow guide. Ditch the heavy, dark colors along with your thick sweaters, and think light. To get an instant healthy glow, Shackleton suggests applying a shimmer powder to the raised areas of your face, such as your cheekbones, brows and temples. (Steer clear of your T-zone, which can create an oily appearance.) Finish off with a swipe of waterproof mascara, and you’re ready to wow. If there’s one feature you should focus on this summer, it’s your cheeks. To achieve a pretty pop of color without baking in the sun, use a Puffs facial tissue to blend in cream blush on the apples of your cheeks. Bonus: You can use a dab of this multitasking product on your lips too. Summer is for eating lobster, not looking like one. To steer clear of a ruddy complexion, be vigilant about wearing sunscreen every time you step out. Shackleton suggests trying a sunscreen powder, which goes on like a face powder and feels lighter than greasy lotions. For a gorgeous glimmer without baking in the sun, try rubbing coconut oil on your legs, chest and arms. You’ll get a healthy shine while smelling like a tropical vacation. Don’t want to bother meticulously applying makeup if you’re just going to “glisten” it all away? Shackleton swears by waterproof, silicone-based foundations, which stay perfectly intact beneath your facial powder. For eyes? In addition to waterproof mascara, try a gel eyeliner. “Unlike pencils, they won’t smudge at all -- even if you go swimming!” says Shackleton. 5. Say bye-bye to black. Chances are, dark colors will be pushed to the back of your closet for the next few months, so why shouldn’t the same go for your makeup? One of Shackleton’s favorite trends from the ’80s, colorful mascara, is back. “Thankfully, it’s a little more muted this time around,” she says. Trade in your usual black lashes for a subtle pop of dark blue or purple. DON’T go overboard. When it comes to your skin, more isn’t always better. Beware of products that can dry out your skin, like harsh facial scrubs -- especially if you have a sensitive complexion. Dana Elise, a Beverly Hills aesthetician with a bevy of celebrity clients, advises against using baby wipes, which aren’t gentle enough for delicate faces. Instead, stick with makeup remover and tissues. DO make it a habit. 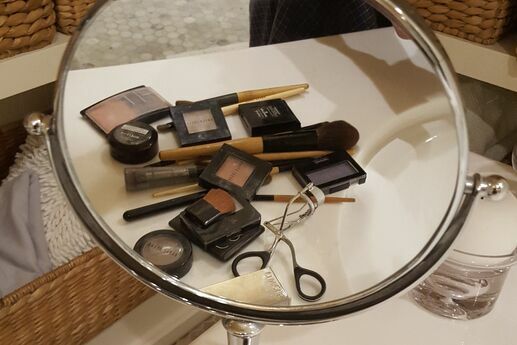 If your made-up face hits the pillow more than you’d like to admit, set up a makeup removal station at your nightstand. It should include makeup removal pads or towels, although Elise recommends using them sparingly to avoid drying out your skin. Another smart staple: witch hazel, which acts as a refreshing astringent for oily to dry skin, and tissues to apply it. DON’T choose any cleanser. Just like you pick your lip color based on your skin tone, you should match your makeup remover to your skin type. Take a cue from Elise: Opt for an oil- and alcohol-free product if you have oily or combination skin. Have a normal, sensitive or dry complexion? Pick a milk-based wash to keep your face baby soft. DON’T wash with hot water. Experts say that it can remove protective oils, which can dry out your skin. Instead, use cool or warm water to rinse your face. Wedding season has arrived. Whether you have an invitation to a glitzy black-tie event or beachfront affair, you want to look your best. (After all, chances are those candid group shots will wind up on Facebook!) With my beauty advice, you’ll have gorgeous, no-smudge makeup all evening long. Just because you don’t want to outshine the bride doesn’t mean that you can’t look fabulous. Weddings are celebrations, so what better time to ramp up your look with lush false lashes? They’re affordable -- I use the $2 kind from the drugstore. If you feel like the look is too bold, cut the strip in half with small scissors and apply them on the outer corners of the eye. Or apply a few individual lashes. Grasp them in tweezers, dip them in glue and stick them on the lash line. If you’re a newbie, I recommend using the white glue, which dries clear. And have some tissues on hand to wipe away the excess. Still can’t manage it? If you buy the lashes at a makeup store, such as Sephora or Mac, a makeup artist will usually apply them for you free of charge. 2. Get a little glimmer. The secret to celebrities’ glow: iridescent lotion. To create the look, mix your foundation with a little shimmery lotion. Then dust your entire face with a translucent powder, which will set your makeup without covering up that gorgeous sheen. 3. Go for the gold (or silver). Nothing makes a glamorous statement like silver or gold eye shadow. When I work with celebs for red-carpet events, I wet my eye shadow brush before dipping it into the shadow. And instead of swiping it across the lid, I pat the brush into the skin. This helps set the shadow into the skin so it won’t budge. It also creates a wet, shiny look that’s perfect for evening events. If you want a subtle look, apply light-colored shadow with a little sparkle in it to the inner corners of the eyes. This opens up your eyes and makes them look bigger. 4. Be a bronzed beauty. You can go from pasty to perfect with one application of bronzer gel. Adding a fake tan will also create the illusion of looking leaner. One of the most common beauty blunders is not blending your makeup into the neck, which creates an unsightly line. Make sure that you blend your face makeup into the bronzer so you’re the same color all over. 5. Don’t forget to touch up. A pack of tissues. Use them to wipe away smears and blot your lipstick. Powder. Use one that’s a shade lighter than your skin and blot it on sparingly. This will keep your complexion from looking muddy. Cream stick blush. This formulation has staying power, and the small tube is easier to tote than a powder compact. Teasing comb. To keep your hair from falling flat, take a handful of hair at your crown and back-comb it. Flip your head upside down and spray it with hairspray -- you’ll score instant oomph! Ask any busy mom what's on her wish list, and "more time" inevitably comes up. Turns out those extra hours may be right under our noses: Too many of us waste our precious minutes rounding up the kids, scrambling to pull together dinner and sorting through our email inboxes. We asked the experts to give us their tips for streamlining daily routines. Try incorporating a few of these suggestions and you may actually find yourself with a little "me" time at the end of the day! 1. Start your day with mommy-and-me time. Have a designated day of the week for each of your kids and wake him or her up 15 minutes early, says Tonia Tomlin, a professional organizer and the author of Chaos 2 Calm: The Moms-of-Multiples' Guide to an Organized Family. That way, you both know you'll have some special bonding time, no matter how hectic things get. 2. Take stock of your kitchen. It's a mom's secret weapon: Toss a few ingredients into the pot in the morning, and your family can sit down to a home-cooked dinner with minimal prep in the evening. 5. Take control of the calendar. Keep a reusable wipe-off monthly calendar in a central place so everyone knows exactly what's going on and there won't be any miscommunications. Designate a specific day of the week to do laundry so the load won't sit in the dryer and get wrinkled, suggests Tomlin. When you get it all done in one day, you won't have to dread coming home to a huge pile of clothes. Make the chore more fun by scheduling phone dates with family and friends. 7. Place trash cans strategically. Children are notorious for leaving trash in the car (snack wrappers, water bottles), so keeping a trash can by the driver's side door can save you from having to clean out the car every week, says Tomlin. Getting out the door in the morning is no easy feat when your kids are hunting for schoolbooks and you’re rushing to get your makeup done. Designate an exact place by the door for your kids' school supplies, jackets and lunch bags so they won't go missing when you're leaving for school. Also set up a mommy beauty station at the same place: Simply hang a mirror and fill a basket (ideally out of reach to your kids) with beauty essentials, including a hairbrush, dry shampoo, concealer, blush, lipstick, mascara and a box of facial tissues for quick touchups. We all get way too much email, says Tomlin. Consider sorting your messages into simple categories like "To do today," "Follow up by week two," and "Unsubscribe from this email chain." Send email replies to only those who need them, and avoid hitting "Reply all" -- unless it's necessary. Flowers aren’t the only things popping up this spring. New trends are on the rise as we happily retire thick sweaters and tights. 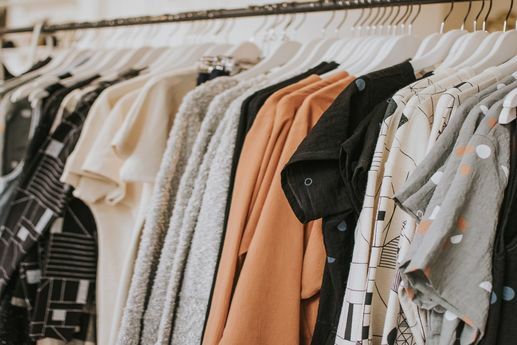 But putting together an in-season outfit is only part of the equation: Pairing it with the perfect makeup pulls your entire look together and ensures you pull off a daring trend. Not sure where to start? You’re in luck: We’ve taken out all the guesswork for you with this guide to the hottest spring trends and matching makeup. This spring, you’ll see no shortage of statement prints, including snakeskin, stripes and embellished fabrics. When your clothes have a strong point of view, opt for more neutral makeup. Brooke Glaser, a celebrity makeup artist in New York City, swears by MAC’s paint pots to achieve a low-impact look with staying power, especially when she’s on the job at Good Morning America . Her two favorite shades that look the most natural but give a pop at the same time: Groundwork and Quite Natural. Extra-girly looks involving lace and floral prints dominated the runway this season. And this ultra-femme look is the perfect excuse to go glam with your makeup. Glaser recommends adding a retro edge with a strong lip color in non-red shades: Bright orange and bold pink are both chic choices for springtime. Experiment with shades, she says, by picking up inexpensive tubes at your local drugstore. Once your mouth is perfectly painted (don’t forget to blot with a facial tissue! ), keep the rest of your makeup minimal. “A winged-out black line on top of the eyelid can polish off this retro look,” says Glaser. Fun sorbet shades aren’t reserved for your clothes this season. “You can totally rock a pastel pink lipstick when wearing pastel clothes,” says Glaser. Her advice: Apply bronzer so the light lip color doesn’t wash you out. Her top pick is Dior’s Amber Tan, but she also recommends MAC’s Give Me Sun for blending the neck and chest and Scott Barnes’s Body Bling for an all-over tan that won’t wind up on your clothes (just be sure to blend!). When tastemaker Pantone declared that emerald would be the color of 2013, they weren't just talking about clothes. Gemstone green beauty products -- like eye shadow and nail polish—are a must-try. Wary of going green? "A little bit can go a long way," assures Brooke. "Line the top and bottom of the inner lash line with a waterproof green eye pencil for a more subtle pop of color."